Three of Airbnb’s top growth markets are in Africa and the continent has become a cornerstone of the U.S. company’s sustainable tourism strategy, a senior official with the home-sharing service said on Thursday. More than 3.5 million customers have stayed with Airbnb hosts across the continent since the company began operating in Africa, with roughly half of those coming in the past year. South Africa constitutes the bulk of that business, followed by Morocco, Kenya and Egypt. But the rest of the continent is catching up, the company’s South Africa manager, Velma Corcoran, told Reuters. “Three of the top eight fastest-growing countries globally are in Africa: Nigeria, Ghana and Mozambique,” she said on the sidelines of a tourism conference in Stellenbosch, South Africa. As of July, Nigeria had recorded year-on-year growth in guest arrivals of 213 percent. Growth in Ghana and Mozambique was 141 percent and 136 percent respectively. “They’re off a relatively small base, but that kind of growth has been really, really encouraging,” Corcoran said. Since its founding in 2008, Airbnb hosts across Africa have earned more than $400 million in direct income from renting out their properties via the service, the company says. Corcoran said it was working with other African governments to ensure they were able to benefit from the home-sharing market. “Ideally what we want is government’s recognising home-sharing. Then we can work with them to put in place certain tools, like collecting and remitting tourism tax,” she said. Tourism is among Africa’s fastest-growing sectors and contributed nearly $178 billion, or roughly 8.1 percent, to the continent’s gross domestic product last year, according to the World Travel and Tourism Council. 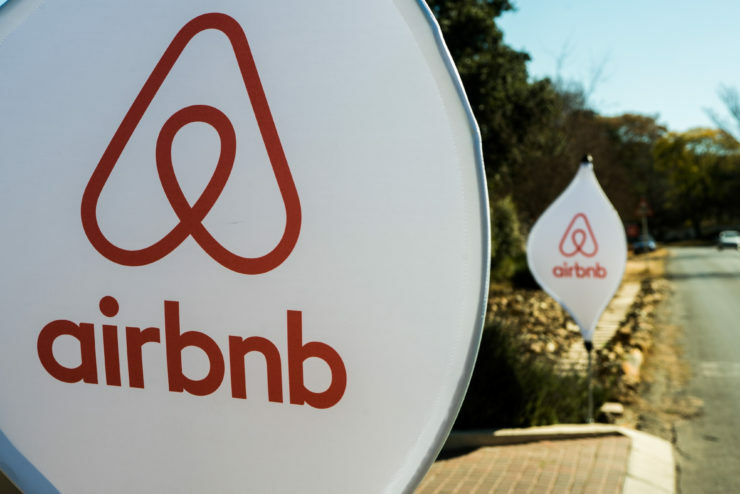 “We’re looking at Africa and South Africa as our flagship markets for how Airbnb is thinking about more inclusive and sustainable tourism,” Corcoran said. Two main aspirants of the opposition parties in the Democratic Republic of Congo’s upcoming presidential elections have entered into an alliance, the second such coalition in under a month. Vital Kamerhe and Felix Tshisekedi announced the coalition that will see Tshisekedi becomes the common candidate as Kamerhe withdraws his candidature. The two parties held announced the pre-election agreement at a news conference on Friday, November 23, in Nairobi, Kenya. Tshisekedi, son of veteran opposition chief Etienne Tshisekedi leads the main opposition Union for Democracy and Social Progress (UDPS) party whiles Kamerhe, is leader of the Union for the Congolese Nation (UNC) party. The two, were part of the Lamuka coalition that brought together seven aspirants in a deal reached in Geneva under the auspices of the Kofi Annan Foundation. Barely twenty-four hours after signing the Lamuka deal that picked Martin Fayulu as common candidate, the two aspirants withdrew their involvement. The Lamuka coalition involved two barred aspirants in the persons of Jean Pierre-Bemba – a former veep to Kabila, and Moise Katumbi – former governor of copper-rich Katanga province. Fayulu returned to the country on Wednesday with the promise to do all it takes to wrestle power from the ruling coalition which has picked former interior minister Emmanuel Ramazani Shadary as its candidate. President Joseph Kabila who has overshot his constitutional mandate by two years agreed to step down in August this year. He stayed on after the 2016 expiration of his tenure because elections could not be held over the period. The elections body, CENI, cited reasons such as the lack of a credible voters register and insecurity in parts of the country. Currently, there are pockets of insecurity and the outbreak of Ebola but all signs show that the December 23 polls will be held. The Nigerian Army has confirmed one of the deadliest attacks by Boko Haram on its troops with the known casualty figures rising as high as a hundred slain soldiers. The Army in a statement on Friday said the attack on 157 Task Force Battalion at Matele indeed took place. “Whilst it is true that there was an attack on the location on 18 November 2018, it has however, become necessary to correct several misinformation being circulated with regards to this unfortunate event,” the statement read in part. The army explained that its delay in relaying the incident was because of procedural issues on having to inform the next of kin of affected troops before going public with such information. Whiles claiming there was misinformation in figures and videos currently circulating on social media, the army failed to provide a casualty figure. They also urged against spread of Boko Haram propaganda materials. “Furthermore, it suffices to observe that several social media, print and online publications have been brandishing false casualty figures as well as circulating various footages of old and inaccurate BHT propaganda videos and alluding same to be the attack on 157 Task Force Battalion. “Whilst it is understandable how such misinformation can spread in this era of social media frenzy, the spurious circulation of some of these videos only contribute to further propagate the propaganda intent of the terrorists; to misinform the populace and portray themselves as what they are not. “So far, the situation is that the location is under control as reinforcing units have been able to repel the terrorists and stabilize the situation,” the statement added. Meanwhile the local news portal, The Nation Nigeria quotes an unnamed soldier that escaped the attack as saying an advanced team of the insurgents came into the based as friendly forces and went into the office of the commander where they fired at him and five other soldiers that were with him in his office. The Army command in Maiduguri have evacuated bodies of soldiers killed by Boko Haram insurgents on Sunday at Metele village in Guzamala Local Government Area of North Borno State, the portal added. The Boko Haram Islamist militant group in Nigeria that is allied to, Islamic State, on Thursday posted a video on messaging site Telegram, claiming responsibility for five attacks in Nigeria, saying they left at least 118 casualties in the past week. The militant group, which typically uses the “State of West Africa” to refer to Nigeria, made the claim in a video presentation of attacks it says it carried out between Nov. 16 and 22. It did not specify the number of people killed in the attacks, referring only to 118 casualties. Five security sources told Reuters more than 100 soldiers had been killed in attacks in Nigeria in recent days, one of the highest death tolls since President Muhammadu Buhari came to power in 2015. It could raise pressure on him ahead of an election in February since he has claimed victory over the nine-year insurgency. The sources said the insurgents attacked a military base in the village of Metele in northeastern Borno state, the epicentre of a revolt by Boko Haram and splinter group Islamic State in West Africa. Islamic State, in a statement released on Monday, said it attacked an army base on Sunday in Metele and killed at least 40 Nigerian soldiers. The group said it burned down the base after the attack finished. A Nigerian presidency spokesman on Thursday said the military would issue a statement and military spokesmen did not respond to requests for comment. The government and military often decline to acknowledge the scale of losses in the northeast. S&P Global Ratings left South Africa’s foreign-currency and local-currency credit ratings unchanged on Friday, citing weak economic growth and a rising debt burden as reasons for keeping the country in “junk” status. South African President Cyril Ramaphosa has been at pains to rekindle growth and win over foreign investors since taking office in February. But he has been hampered by infighting in the ruling African National Congress and severe fiscal constraints after a decade of stagnation marred by policy uncertainty and corruption scandals. “Anaemic economic growth in 2018 and sizable contingent liabilities continue to weigh on South Africa’s fiscal prospects and debt burden,” S&P said in a statement. S&P kept South Africa’s long-term foreign-currency rating at ‘BB’, while the long-term local-currency rating stayed at ‘BB+’. The ratings have a “stable” outlook. The finance ministry said S&P’s ratings decision gave the country “a chance to demonstrate further concrete implementation of measures that are aimed at turning around the growth trajectory”. S&P downgraded South Africa last year following a sharp deterioration in the country’s public finances under former President Jacob Zuma. Commenting on ANC plans to change the constitution to allow for land expropriation without compensation, S&P said on Friday that it expected “the rule of law and enforcement of contracts will largely remain in place and will not significantly hamper investment levels in South Africa”. It added that it could lower its ratings if it observed a continued fiscal deterioration, or if the rule of law or property rights were to weaken significantly. The ratings could be raised if economic growth or fiscal outcomes strengthened in a sustained manner.